On Friday's I take part in three weekly link ups - The Friday 56, hosted by Freda's Voice, Book Beginnings, hosted by Rose City Reader, and 50/50 Friday is a new weekly link up and it is hosted by Carrie @ The Butterfly Reader and Laura @ Blue Eye Books. For The Friday 56, you choose a book, a book you have just finished, a book you are about to start, your current read, and share a line or a few lines that grab you (but don't spoil anything) from page 56 or 56% of the way through the ebook. Post it and share your post's url on Freda's most recent Friday 56 post. As for Book Beginnings, you share the first sentence or so and your initial thoughts, impressions, or whatever else it inspires, and then link up your post's url with Rose City Reader. 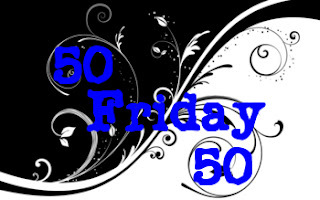 Then, for 50/50 Friday, every week there's a new topic featuring two sides of the same coin - you share a book that suits each category and link up on the hosts blogs. 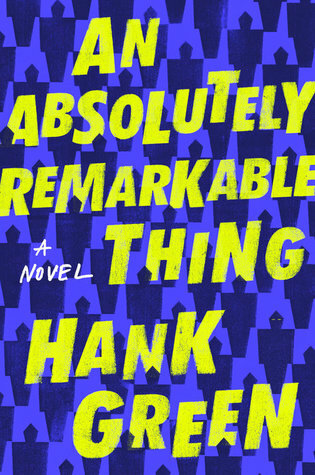 This week I'm spotlighting one of my current reads, An Absolutely Remarkable Thing (An Absolutely Remarkable Thing #1) by Hank Green. I've really been looking forward to this and it finally came in at the library. So far, I'm enjoying what I've read. Look, I am aware that you're here for an epic tale of intrigue and mystery and adventure and near death and actual death, but in order to get to that (unless you want to skip to chapter 13 - I'm not your boss), you're going to have to deal with the fact that I, April May, in addition to being one of the most important things that has ever happened to the human race, am also a woman in her twenties who has made some mistakes. The properties you describe... hard, resonant, shiny, heavy, extremely low thermal conductivity, do not sound peculiar, they sound impossible. Most Shocking - Gone Girl by Gillian Flynn - This still takes the cake! 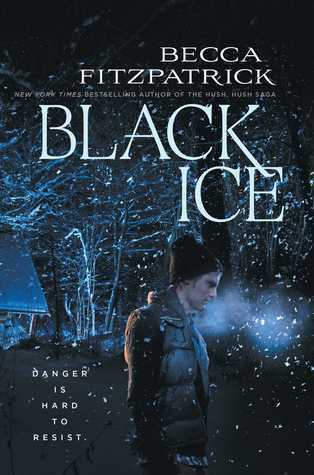 Least Shocking - Black Ice by Becca Fitzpatrick - Seriously not even sure why I kept reading this one. What are you reading this weekend? As always, thanks very much for visiting my blog and perhaps even commenting down below! Gone Girl was a fabulous read. I don't know about Black Ice. I haven't read Hank Green's book yet but your teasers make me want to read it soon. I haven't read Gone Girl either. It's also on my list. This week I am spotlighting a middle grade fantasy - The Storm Keeper's Island by Catherine Doyle - from my review stack. Happy reading! I hope you like them when you get there, Kathy! Thanks for sharing. Great excerpts! And on to your 50/50, Gone Girl still grabs me. Mostly I rewatch the movie...someday I plan to read the book again. Never read any of these books. 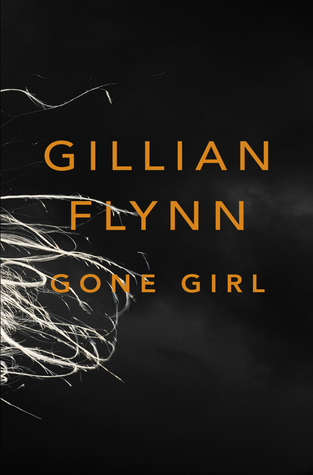 And since I've already seen the movie they made of Gone Girl, I'm not sure I'd enjoy the book now. The Absolutely Remarkable book sounds intriguing, though. Hope you enjoy it! I'm curious for more from this story!! Happy weekend! I like the beginning of An Absolutely Remarkable Thing. I haven't read the book, but it looks interesting. Glad you're enjoying it after the wait! Nice Friday selection. I still haven't read Gone Girl. I'm so behind everyone else. I hope you enjoy this novel. I really like the MC's voice based on that beginning. Happy Friday, Lauren! Thanks! Me too. Have a great weekend. I still need to read Gone Girl.... I saw the movie and loved it and I'm sure the book is better because the books is always better. Gone Girl yes omg!! I actually want to reread that book to relive that moment in all it's glory when you fully figure out what exactly is going on between Nick and Amy. Thanks for linking up, Lauren!